Every year we pick our favorites for a top 10 drone buyers guide and this season looks better than ever. From palm sized micro’s to full blown hi-def cameras chasing you around there is something on the list to please everyone. This time around our list will work more as a 1-10 based on lowest price rather than what drone is the absolute best. Being that this is more a gift guide, you will want to know what type of transmitter this person is already using. Most of these drones come in all frequencies. Frsky, Futaba, FlySky or DSM (exception being the DJI or $10 drone). Keep in mind anything you order from China may take 2-4 weeks to be delivered, take note if a US warehouse is an option. All fpv drones here work with all fpv headsets… if you know they have fpv goggles or are also getting them some, don’t worry as all the video equipment is compatible. Most of these do not come with a battery, be sure to take notice if one is included or what they require. We recommend Tattu batteries. Looking for the perfect transmitter that works with everything? check out the new iRangeX multi TX. Why… just why you ask. Well, because its hella cheap and without the lego man you have room for a AiO camera so this is this most fun you can possibly have with $15. Even flying line of sight you can bang into everything in the house tinywhoop style and not once hurt the cat. Everything is included from the remote to the battery and usb charger so there is no need for anything else. Tinywhoops are outta stock or you have to build one from the ground up and while that’s not too hard you could just get eachine’s clone for cheap and call it done. The X4 platform has been tried, tested and proven to be one of the best performers year after year. Now Hubsan’s latest version is packed with even more of the features you would expect from something way more expensive. FPV, wifi, waypoints and more all ready to fly right out of the box. If you are looking for something tiny, brushless and on Amazon prime then the Emax BabyHawk is it. Ready to fly with your own transmitter these are fun for any level of pilot indoors or out. 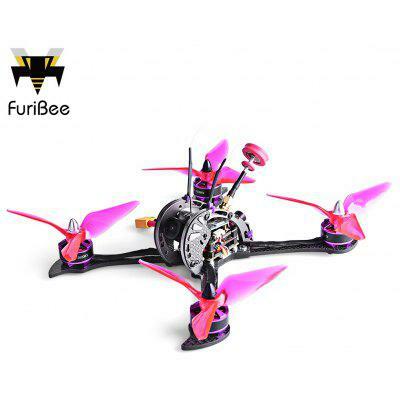 This pocket sized little brute is brushless and ready to fly in DSM, Frsky and even Futaba. Completely assembled and ready to go the KingKong 90GT is a perfect gift for anyone into fpv drones already. How can we not include the X140 in our Drone Buyers Guide, now you just need to be lucky enough to catch one in-stock and your holidays are gonna be all good. There is a reason why the Wizard is the #1 selling drone with a huge community helping, tuning, and sticking with the X220S. If you (or someone) is just itching to get into real fpv flight or… already fully sucked in doesn’t matter you can’t go wrong with a wizard, too big for indoor flight this is more for mashing in a deserted park with a Gopro strapped to the front tho. The X215 Pro was our absolute favorite fpv racer we tested all year. With the sic aluminum and 3k carbon fiber frame design the only thing better is the parts list. This would be a hard gift to giveaway and not because its 160 bux… you may just want to keep it for yourself! Third generation of the GT series, Diatone’s new GT200N Race Edition is every race fans dream machine. Packed with proven race components, assembled by high standards and continued support keep this FPV race quad at the top of every ones list. So you really better love somebody or just have gobs of money to blow (we only judge the drones) and if that’s the case well then the Mavic pro is really your only option. I mean there is nothing this thing won’t do, seriously it will make anyone a pro overnight and you the Master of gift giving.